We want to achieve them, but we are chasing an end result, the destination. The truth is that happiness isn’t a destination – it’s a mindset. If you always believe that you’ll be happier when you achieve something, you’ll find that the goal posts always move. 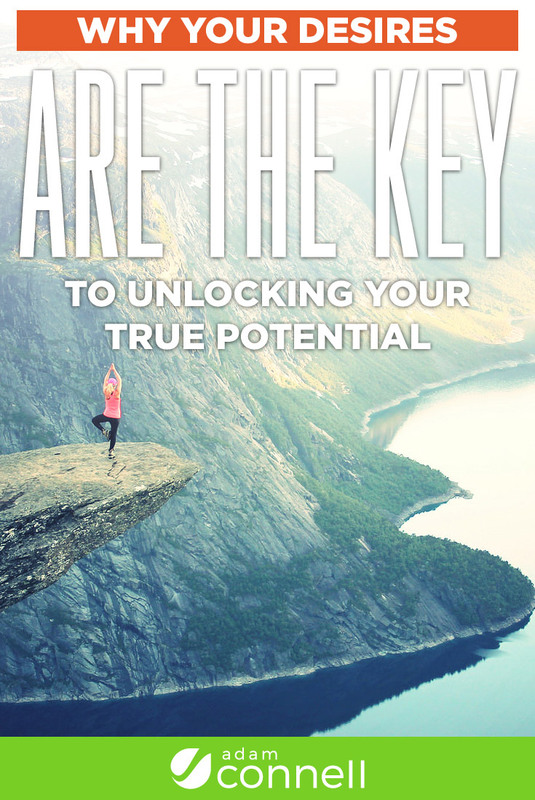 Today, I am going to share where I went wrong and how you can dramatically change your life, unlock your true potential, and be happy in what you do. Have you ever experienced a moment of perfect clarity where everything seemed to make sense? And I realized something that came as a bit of a shock to me. I’m a dreamer by nature and it’s served me pretty well. I thought that if I achieved my dreams, grinded away and put every ounce of strength that I had into the journey and succeeded, I would be happy. I was doing what I loved but I wasn’t enjoying it as much as I should have been. The truth is that you need to focus on enjoying the journey, almost as much as the destination (if not more so). And your desires are a big part of that journey. When you focus on your desires and enjoying the journey, everything almost (as if by magic) falls into place. Happiness is something that anyone can create for themselves, but we look at it the wrong way round. Think about it like this, if you achieved your end goal right now – what would you do? Would you be happy or would you, without realizing it, move the finishing line and start this all over again? What if, instead of focusing on the destination, you focused on making the journey as enjoyable as possible? It’s easy to believe that we will be happy when we arrive at our destination, but more often than not, the reality is quite different. We often get so wrapped up in our goals that we forget to even consider our desires. When you think about how you want to feel you will feel liberated in a way that will help you get to where you want to be faster and most importantly; enjoy the journey. You need a positive mind-set. And that is something that is achievable for anyone that is ready to take the first step. Our environment has a huge impact on us, far more of an impact than we may ever wish to realize. We are the creators, and we can shape our own destiny – and with that we can shape our own environment that is geared to sustain a positive mind-set. A mind-set that allows to be happy, enjoy every moment of our journey and become more successful in everything that we do. You are powerful beyond measure; it’s time to start believing. Cut out any negative influences (e.g. Mainstream media). Seek out what inspires you and stay inspired. Surround yourself with people that have a positive vibe. Don’t make excuses; be honest and true to yourself and those around you. Stay above the line – Don’t make excuses for yourself or anyone else. Avoid passing blame. Be true to yourself and those around you. Find the funny side and find a way to enjoy everything that you do. Take some time off to relax – You need some time to ‘smell the roses’. Listen to music that you love – its food for the soul. Take the time to remind yourself of the great things in your life. Continuing on the subject of mind-set, how you start each day is important. For example, every morning before I do anything even remotely work related, I follow a routine that is designed to get me into the right frame of mind. A frame of mind that will allow me to be positive and just do better at everything I do. I start off by meditating and listening to a song that scientists have dubbed “The most relaxing song of all time”. Whatever my state of mind before hand, I am completely relaxed after. Note: don’t listen to it when you’re driving or anything like that. This is followed by watching a dream board that I created in Microsoft Powerpoint, it features vivid imagery of everything that I want out of my life. A recent change I made to this was to focus more on how I want my life to feel. These desires are important. Finally I get a dose of what inspires me. This varies from day to day, but involves reading a book, listening to a podcast or watching a video. Anything goes, but it’s got to inspire. Try it for yourself and see the difference that it makes for you. Despite this, I’m a firm believer that you still need to have a dream or goal and that it comes hand in hand with the journey. And don’t be afraid to dream big. Just make sure that you break it down into smaller stepping stones that are achievable. Write down where you want to be in 10 years’ time and include everything – even how you want to feel. Include all of your desires too (that’s important). Happiness doesn’t equal success but happiness can equal success. Success is great and we all want to succeed don’t we? But what’s worse is becoming successful and not being happy. We instinctively pursue an end goal and usually as soon as we achieve it, it’s like “OK, well now what?”. Sure enough, we then move the goal posts and start again. But, when you pursue happiness first, you will find it so much easier to achieve the success that you want and deserve. You still need a plan – It’s important to dream big, but break it down into smaller steps. Sometimes you have to fail to get to where you want to be – It’s a valuable learning experience. Don’t allow your past to dictate your future. Stare fear in the face and never look back. You need to really LOVE what you do. “The idea of a future script is to write out a situation as if it has already happened, and include all of your desires. And because of the physiology of the brain, it cannot distinguish between the future and the present. Focus on your desires and they will help you achieve what you want but you’ll be so much happier each and every day. And it will make the entire journey feel exactly as it should – a beautiful and inspirational journey. You will feel more alive. You will surround yourself with people who want the same thing. You will be incredibly motivated and driven. You will love every single moment. You will become far more productive, reach your true potential and get to your destination faster. And most importantly, you will be happy, not just when you reach your destination but every single step of the way. Enjoy the journey, love what you do and be happy. Don’t be afraid to dream big and chase your dream but when you work at being happy you will be able to love every moment of it. Now is your time. Focus on your desires, work at being happy and change everything.